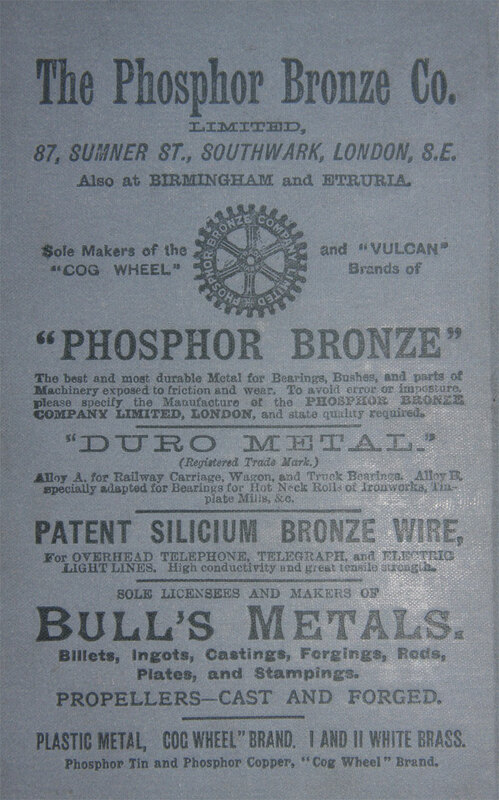 of 87 Sumner Street, Southwark, London SE and at Birmingham and Etruria. 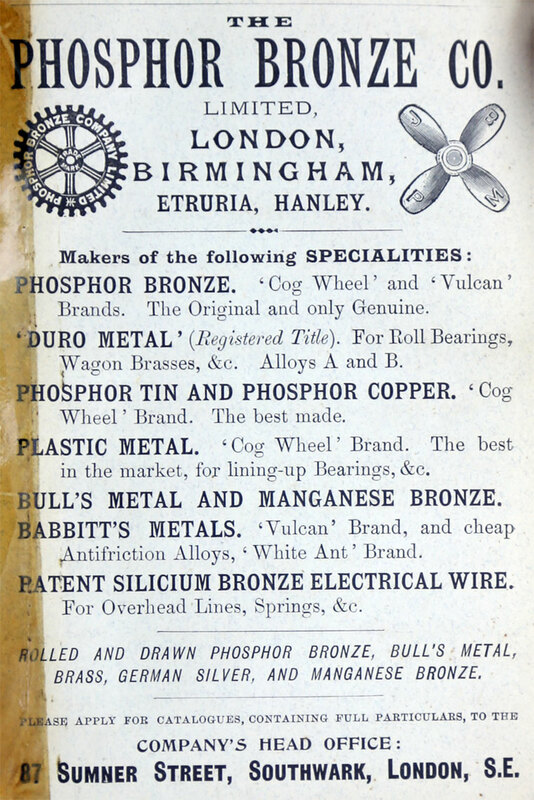 1881 Advert. 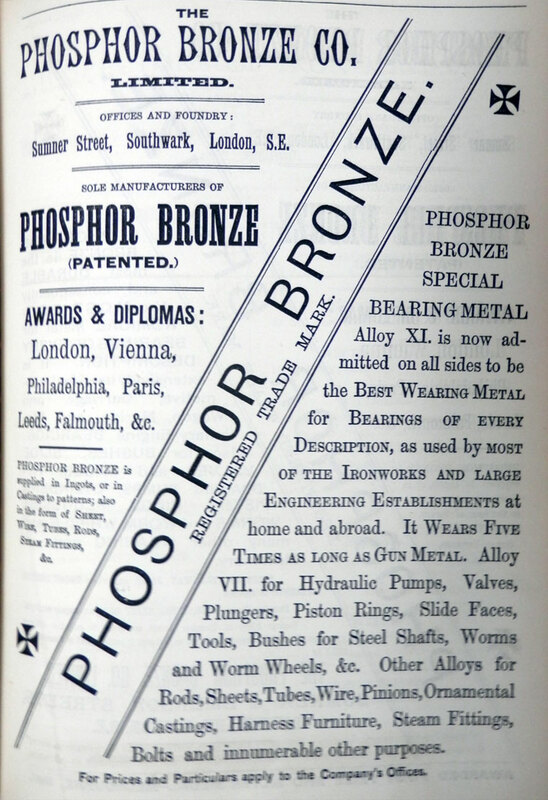 Sole Manufacturers of Phosphor Bronze, Registered Trade Mark. 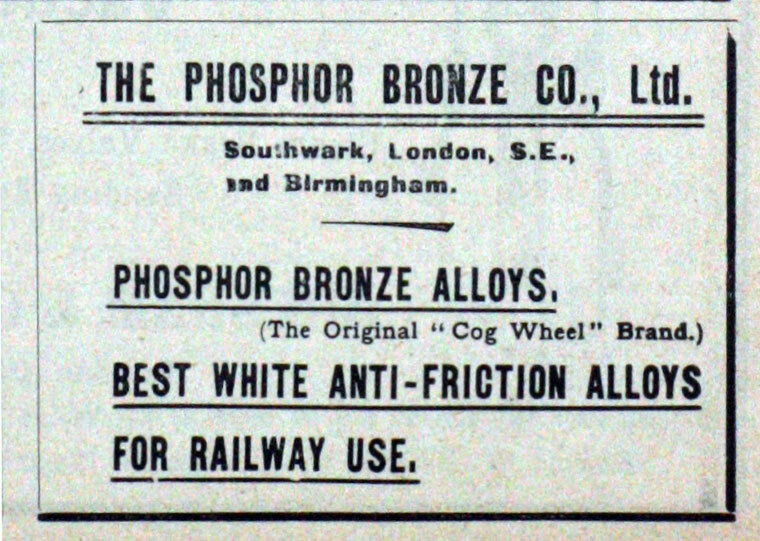 1895 Advert. 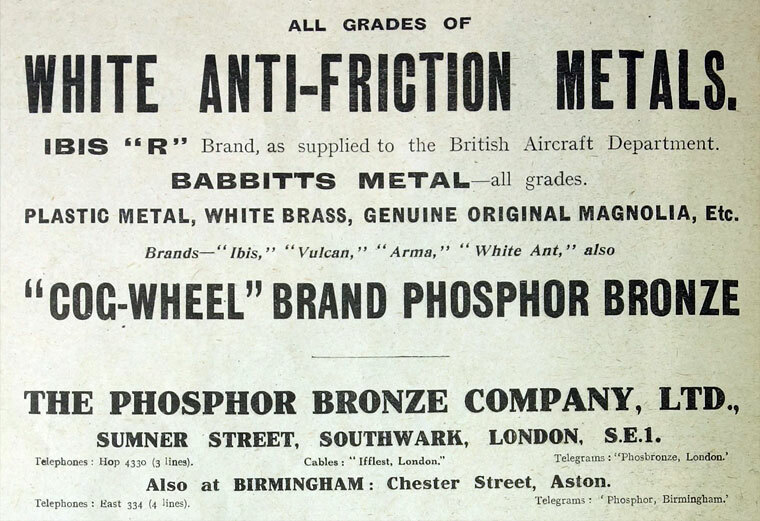 Phospher Bronze. 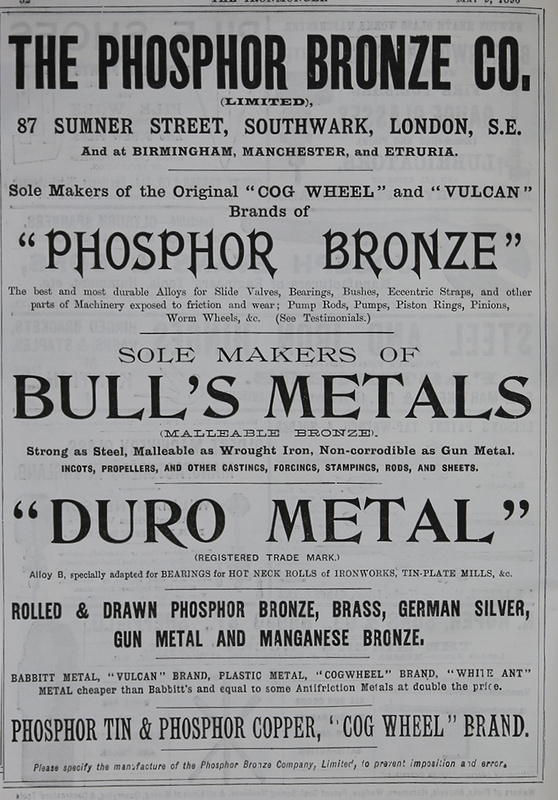 Makers of Bull's metals. 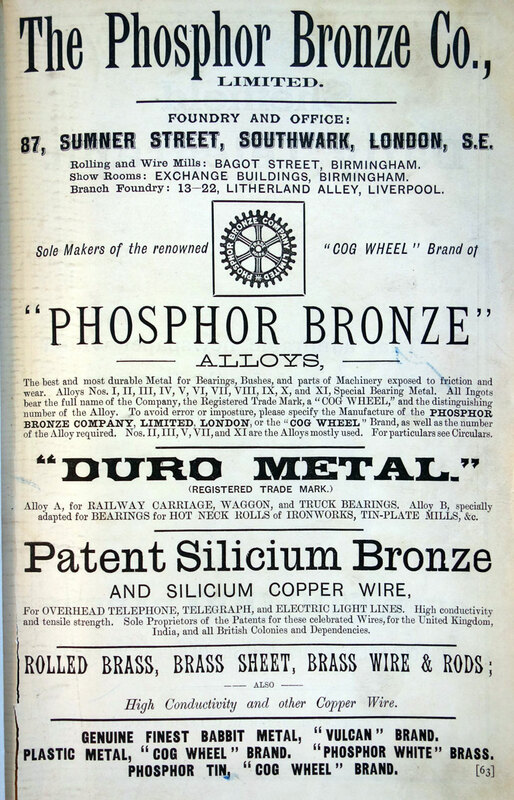 1901 Legal action brought by Phosphor Bronze Co Ltd against Bulls Metal and Melloid Co in which it was decided that the agreement regarding melloid meant that this was pure copper which had been hot rolled; decision in favour of the plaintiffs. 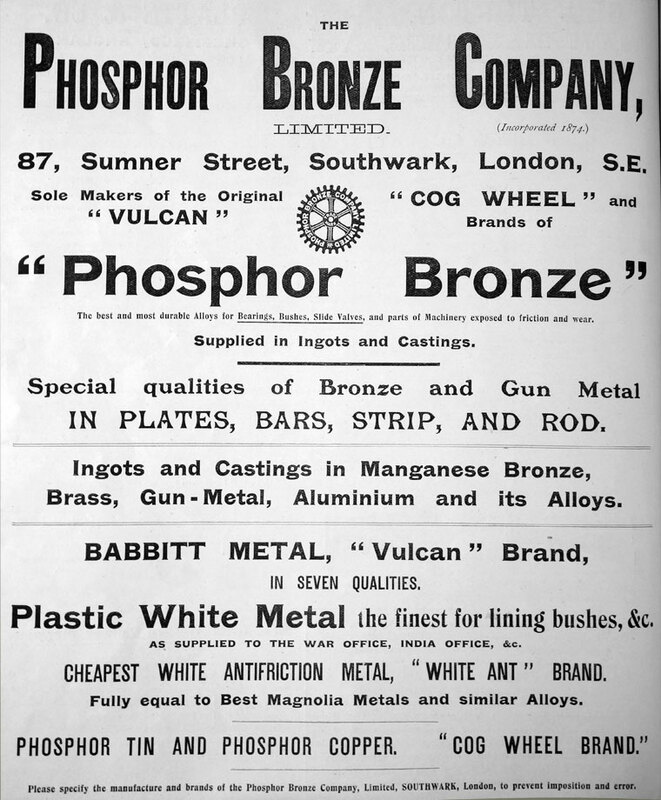 1937 In move to broaden its markets outside the automotive one, Hardy Spicer and Co (part of Birfield Industries) purchased the Phosphor Bronze Co..
By 1950 Phosphor Bronze Co was a subsidiary of Birfield Industries Ltd. 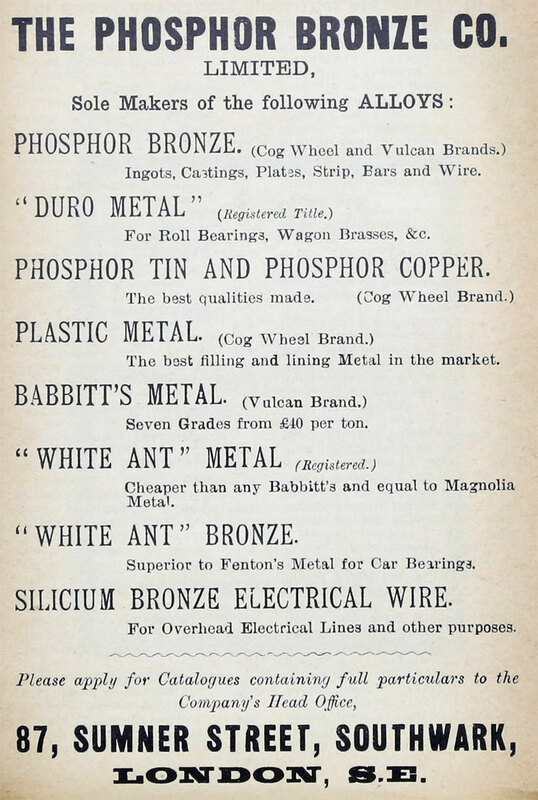 This page was last edited on 30 October 2018, at 15:28.